The high minded excuse for why I did not scale that would be claiming I knew it was a temporary trick that was somehow beneath me. The more accurate reason would be thinking in part it was a lucky fluke rather than thinking in systems. If I were clever at the time I would have created the misspeller's guide to online gambling, though I think I was just so excited to make anything from the web that I perhaps lacked the ambition & foresight to scale things back then. In the decade that followed I had a number of other lucky breaks like that. One time one of the original internet bubble companies that managed to stay around put up a sitewide footer link targeting the concept that one of my sites made decent money from. This was just before the great recession, before Panda existed. The concept they targeted had 3 or 4 ways to describe it. 2 of them were very profitable & if they targeted either of the most profitable versions with that page the targeting would have sort of carried over to both. They would have outranked me if they targeted the correct version, but they didn't so their mistargeting was a huge win for me. Search today is much more complex. In the years since those easy-n-cheesy wins, Google has rolled out many updates which aim to feature sought after destination sites while diminishing the sites which rely one "one simple trick" to rank. safeguards against spammers (users who generate fraudulent clicks in an attempt to boost certain search results) can be taken to help ensure that the user selection data is meaningful, even when very little data is available for a given (rare) query. These safeguards can include employing a user model that describes how a user should behave over time, and if a user doesn't conform to this model, their click data can be disregarded. The safeguards can be designed to accomplish two main objectives: (1) ensure democracy in the votes (e.g., one single vote per cookie and/or IP for a given query-URL pair), and (2) entirely remove the information coming from cookies or IP addresses that do not look natural in their browsing behavior (e.g., abnormal distribution of click positions, click durations, clicks_per_minute/hour/day, etc.). Suspicious clicks can be removed, and the click signals for queries that appear to be spmed need not be used (e.g., queries for which the clicks feature a distribution of user agents, cookie ages, etc. that do not look normal). Moreover, the weighting can be adjusted based on the determined type of the user both in terms of how click duration is translated into good clicks versus not-so-good clicks, and in terms of how much weight to give to the good clicks from a particular user group versus another user group. Some user's implicit feedback may be more valuable than other users due to the details of a user's review process. For example, a user that almost always clicks on the highest ranked result can have his good clicks assigned lower weights than a user who more often clicks results lower in the ranking first (since the second user is likely more discriminating in his assessment of what constitutes a good result). In addition, a user can be classified based on his or her query stream. Users that issue many queries on (or related to) a given topic T (e.g., queries related to law) can be presumed to have a high degree of expertise with respect to the given topic T, and their click data can be weighted accordingly for other queries by them on (or related to) the given topic T.
Whenever SEOs mention using click data to search engineers, the search engineers quickly respond about how they might consider any signal but clicks would be a noisy signal. But if a signal has noise an engineer would work around the noise by finding ways to filter the noise out or combine multiple signals. To this day Google states they are still working to filter noise from the link graph: "We continued to protect the value of authoritative and relevant links as an important ranking signal for Search." The site with millions of inbound links, few intentional visits & those who do visit quickly click the back button (due to a heavy ad load, poor user experience, low quality content, shallow content, outdated content, or some other bait-n-switch approach)...that's an outlier. Preventing those sorts of sites from ranking well would be another way of protecting the value of authoritative & relevant links. Nearly a decade after Panda, eHow's rankings still haven't recovered. Back when I got started with SEO the phrase Indian SEO company was associated with cut-rate work where people were buying exclusively based on price. Sort of like a "I got a $500 budget for link building, but can not under any circumstance invest more than $5 in any individual link." Part of how my wife met me was she hired a hack SEO from San Diego who outsourced all the work to India and marked the price up about 100-fold while claiming it was all done in the United States. He created reciprocal links pages that got her site penalized & it didn't rank until after she took her reciprocal links page down. With that sort of behavior widespread (hack US firm teaching people working in an emerging market poor practices), it likely meant many SEO "best practices" which were learned in an emerging market (particularly where the web was also underdeveloped) would be more inclined to being spammy. Considering how far ahead many Western markets were on the early Internet & how India has so many languages & how most web usage in India is based on mobile devices where it is hard for users to create links, it only makes sense that Google would want to place more weight on end user data in such a market. If you set your computer location to India Bing's search box lists 9 different languages to choose from. "Facebook Inc. has been looking to boost its local-news offerings since a 2017 survey showed most of its users were clamoring for more. It has run into a problem: There simply isn’t enough local news in vast swaths of the country. ... more than one in five newspapers have closed in the past decade and a half, leaving half the counties in the nation with just one newspaper, and 200 counties with no newspaper at all." "Thanks to the convoluted machinery of Internet advertising, the advertising world went from being about content publishers and advertising context—The Times unilaterally declaring, via its ‘rate card’, that ads in the Times Style section cost $30 per thousand impressions—to the users themselves and the data that targets them—Zappo’s saying it wants to show this specific shoe ad to this specific ﻿user (or type of user), regardless of publisher context. Flipping the script from a historically publisher-controlled mediascape to an advertiser (and advertiser intermediary) controlled one was really Google’s doing. Facebook merely rode the now-cresting wave, borrowing outside media’s content via its own users’ sharing, while undermining media’s ability to monetize via Facebook’s own user-data-centric advertising machinery. Conventional media lost both distribution and monetization at once, a mortal blow." As the web grows rapidly in India, they'll have a thousand flowers bloom. In 5 years the competition in India & other emerging markets will be much tougher as those markets continue to grow rapidly. Media is much cheaper to produce in India than it is in the United States. Labor costs are lower & they never had the economic albatross that is the ACA adversely impact their economy. At some point the level of investment & increased competition will mean early techniques stop having as much efficacy. Chinese companies are aggressively investing in India. RankBrain appears to be based on using user clickpaths on head keywords to help bleed rankings across into related searches which are searched less frequently. A Googler didn't state this specifically, but it is how they would be able to use models of searcher behavior to refine search results for keywords which are rarely searched for. In a recent interview in Scientific American a Google engineer stated: "By design, search engines have learned to associate short queries with the targets of those searches by tracking pages that are visited as a result of the query, making the results returned both faster and more accurate than they otherwise would have been." Plus there is a huge gap between the cost of traffic & the ability to monetize it. You might have to pay someone a dime or a quarter to search for something & there is no guarantee it will work on a sustainable basis even if you paid hundreds or thousands of people to do it. Any of those experimental searchers will have no lasting value unless they influence rank, but even if they do influence rankings it might only last temporarily. If you bought a bunch of traffic into something genuine Google searchers didn't like then even if it started to rank better temporarily the rankings would quickly fall back if the real end user searchers disliked the site relative to other sites which already rank. To help people understand the difference between neural matching & RankBrain, Google told SEL: "RankBrain helps Google better relate pages to concepts. 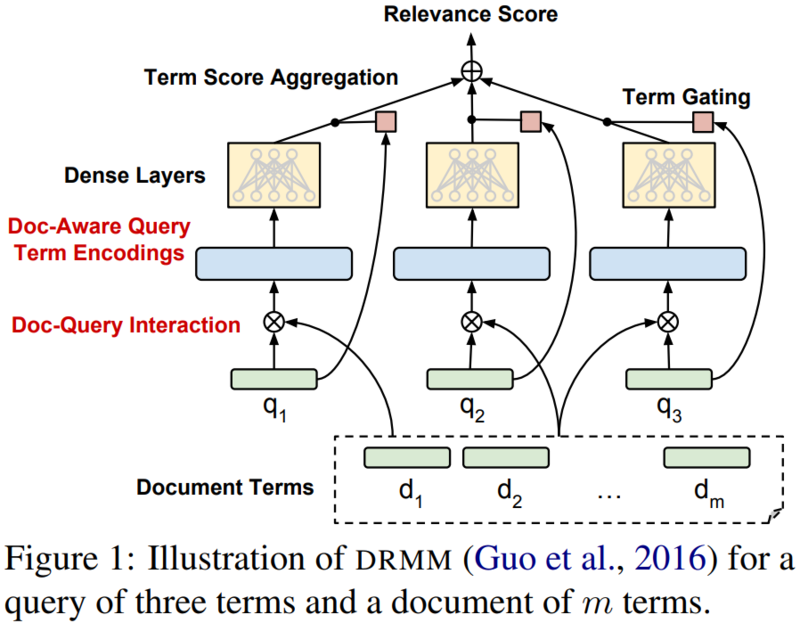 Neural matching helps Google better relate words to searches." 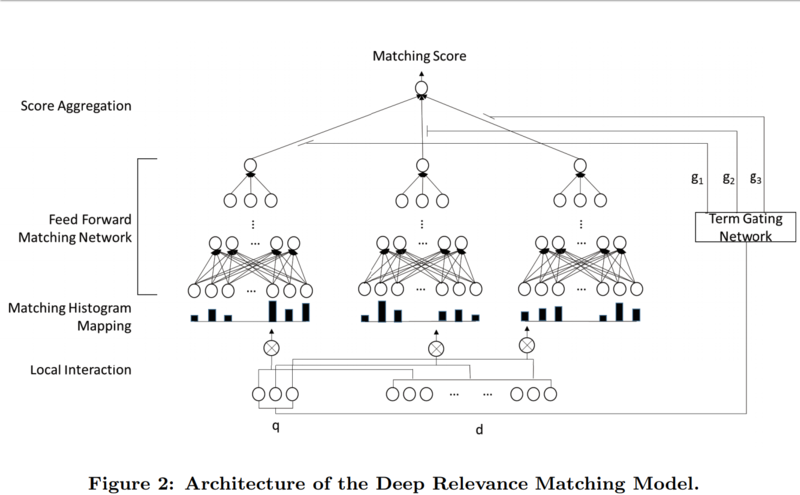 "Successful relevance matching requires proper handling of the exact matching signals, query term importance, and diverse matching requirements." "the interaction-focused model, which first builds local level interactions (i.e., local matching signals) between two pieces of text, and then uses deep neural networks to learn hierarchical interaction patterns for matching." "according to the diverse matching requirement, relevance matching is not position related since it could happen in any position in a long document." 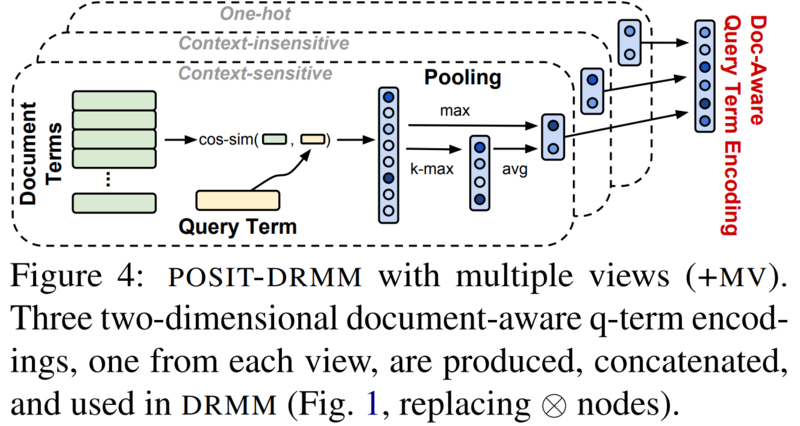 "Most NLP tasks concern semantic matching, i.e., identifying the semantic meaning and infer"ring the semantic relations between two pieces of text, while the ad-hoc retrieval task is mainly about relevance matching, i.e., identifying whether a document is relevant to a given query." "Since the ad-hoc retrieval task is fundamentally a ranking problem, we employ a pairwise ranking loss such as hinge loss to train our deep relevance matching model." "interaction-based models are less efficient, since one cannot index a document representation independently of the query. This is less important, though, when relevancy ranking methods rerank the top documents returned by a conventional IR engine, which is the scenario we consider here." "Does this mean publishers should use more synonyms? Adding synonyms has always seemed to me to be a variation of keyword spamming. I have always considered it a naive suggestion. The purpose of Google understanding synonyms is simply to understand the context and meaning of a page. Communicating clearly and consistently is, in my opinion, more important than spamming a page with keywords and synonyms." The above sort of language modeling & end user click feedback compliment links-based ranking signals in a way that makes it much harder to luck one's way into any form of success by being a terrible speller or just bombing away at link manipulation without much concern toward any other aspect of the user experience or market you operate in. 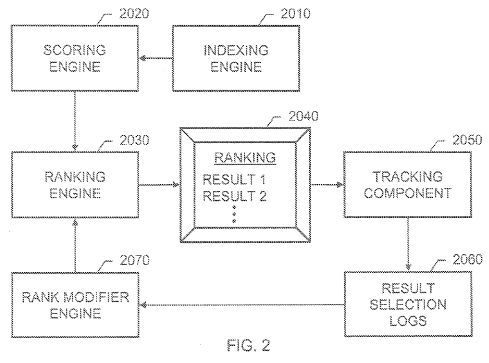 Google was even issued a patent for predicting site quality based upon the N-grams used on the site & comparing those against the N-grams used on other established site where quality has already been scored via other methods: "The phrase model can be used to predict a site quality score for a new site; in particular, this can be done in the absence of other information. The goal is to predict a score that is comparable to the baseline site quality scores of the previously-scored sites." Have you considered using a PLR package to generate the shell of your site's content? Good luck with that as some sites trying that shortcut might be pre-penalized from birth. When I started in SEO one of my friends had a dad who is vastly smarter than I am. He advised me that Google engineers were smarter, had more capital, had more exposure, had more data, etc etc etc ... and thus SEO was ultimately going to be a malinvestment. If one is a dominant voice in a particular market, if they break industry news, if they have key exclusives, if they spot & name the industry trends, if their site becomes a must read & is what amounts to a habit ... then they perhaps become viewed as an entity. Entity-related signals help them & those signals that are working against the people who might have lucked into a bit of success become a tailwind rather than a headwind.